A stuck garage door can keep you from getting to work in the morning, or prevent you from being able to get the kids to school. Even worse, it might not open when you have a medical situation that requires you to get to a hospital or pharmacy. And at commercial sites, a stuck door can potentially keep the business closed while it is nonfunctional and cause huge losses of revenue and productive time. What are some common causes of garage door malfunctions? Attempted forced entry or vandalism are probably the most frequent reasons why a door will cease to function out of nowhere. There's also the possibility of manufacturer defects, or simply wear and tear due to years of use. Even the local Bowie weather can play a role sometimes! Trust Garage Door Service is familiar with all of these potential causes of a garage door emergency and can rapidly respond with the proper service at any time of the day or night. When our technicians arrive on the scene, they will stay in contact with you and keep you in the loop so you always understand what services are needed to get your door back in working order. Our technicians can handle repairs of virtually every major brand of garage door along with opening systems, and we can usually solve problems with custom systems as well. Trust Garage Door Service gives you prompt and reliable service to ensure that your door issue doesn't escalate from being a minor hassle to a major catastrophe. 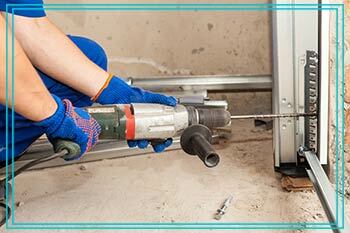 Our services are not limited to repairs of broken and malfunctioning doors. An even more common issue is a loss of access due to a problem with the lock or the key. A broken or vandalized lock or a lost key can cause just as big of a problem as a door malfunction and can lead to the same complications both at home and at work. Trust Garage Door Service's unparalleled industry experience extends to issues involving lock damage, key damage and key replacement. When our technicians arrive on the site to work on your issue, they come in a van containing a fully equipped mobile workshop that allows them to extract broken keys, fix or replace locks, and even fabricate new keys right on the spot. 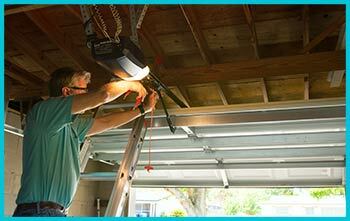 Trust Garage Door Service offers the most comprehensive range of on-demand repair services in the market. Our target time for arrival at your property is no more than an hour, and we'll get to work immediately restoring the proper function of your garage door. Our services are not limited after hours or on holidays; all of our technicians are fully trained in our complete range of procedures, and they'll arrive in a mobile workshop that puts all of the necessary tools at their disposal as well. Regardless of the issue that is causing your garage door to not function, Trust Garage Door Service will quickly be able to make a repair and get things running smoothly again, even if new parts are required. Our inventory of parts is the most extensive in Bowie and we use only the highest-quality brand-name parts that are the most appropriate for each individual door type. Trust Garage Door Service stands behind the quality of every emergency repair we perform, and we promise to maintain our high quality standards while also getting your repair done as quickly as possible.